SVCC Student Technology: Did You Know? add files as attachments to email. chat with others using the email chat tool. create labels and filters to organize and sort email. forward your student email to a personal account. use Google Drive to store or backup your files? Consider it an online USB Drive. create and edit documents, spreadsheets, and presentations in Google Drive? Think of it as an online office software suite. share and collaborate with others, eliminating the need to email documents back and forth. 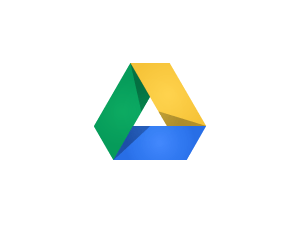 download files from Google Drive in different formats. 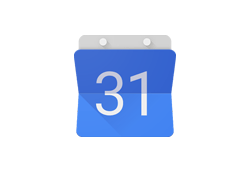 create many events at once using the repeat option in Google Calendar. invite guests to events you create. add the Sauk Academic Calendar and Athletic Calendar to your Sauk calendar to stay up-to-date on campus deadlines and activities. access your Sauk Google Calendar on your mobile device. find open computer labs for student use in 2F01 and the library. make color copies in the library? Ask a librarian for help! find tech help and support on the Sauk webpage? Click the word “more” in the Students’ section on the Sauk website’s home page; then go to the Support section. ask the lab assistant on duty in 2F01 for tech help with your online accounts, Canvas questions, syncing your Sauk accounts with a mobile device, or other tech support. change your password from the initial sv####. Change it every few months; make sure you keep a record of it. make sure to save all your work to Google Drive or a USB drive before leaving a computer lab. Computers are rebooted daily and are set to erase all documents saved to it and clear any information entered into a web browser, such as account passwords. log out of all accounts before leaving a computer in a campus lab. The next person who uses your computer could gain access to your online accounts if you don’t. Restarting a lab computer when you are done will completely wipe the computer of your information.